Faraway as it is, anyone could mistake the Sun for a smooth, uniform, boring ball of gas but the reality could not be more different. Earlier this week, in the space of two days, the Sun emitted four massive blasts of radiation with Tuesday’s solar flare being the strongest of the year so far. The Sun’s activity changes in intensity periodically, with its main cycle taking an average of eleven years to complete. The present cycle, cycle 24, started in 2008 and is expected to peak later this year. This increase in solar activity leads to an increase in a number of a variety of solar phenomena, such as sunspots, solar flares and coronal mass ejections (CMEs). Solar flares are extremely strong bursts of energy that occur when energy stored in the magnetic fields of the Sun’s atmosphere is suddenly released. A related phenomenon, coronal mass ejections are massive eruptions in the solar atmosphere that release millions of tonnes of solar material into space. Flares can fall into one of five categories: A, B, C, M, or X, each category ten times stronger than the one before, with X-class flares being the strongest. Additionally, each category, except X-class, is further divided into nine subcategories, from 1 to 9. The most intense flare ever recorded went as high as X28. This week’s flares ranged in intensity from X1 to X3.2. The biggest flare in recorded history to hit the Earth happened in 1859. On September 1, the astronomer Richard Carrington was studying sunspots when he observed two patches of white light, as bright as the Sun itself. On the following night the aurora, a phenomenon usually confined to the northernmost latitudes, could be seen as far south as the Caribbean and was so bright that newspapers could be read by its light. Telegraph systems all over the world failed and many operators suffered electric shocks. The electric currents induced in the telegraph wires by the aurora were so strong that some systems could still send and receive messages after their power supplies had been disconnected. (NewsUSA) – During hotter days, the wonderful coolness of our air-conditioned homes is comforting until the whopping energy bill arrives. The American Lighting Association (ALA) offers the following easy ways to use less energy and save money. Switch out incandescent light bulbs with compact fluorescent versions. “A compact fluorescent lamp (CFL) can provide the same amount of light as an incandescent by using only one-quarter of the electricity,” explains Joe Rey-Barreau, education consultant for the ALA and an associate professor at the University of Kentucky’s School of Interior Design. 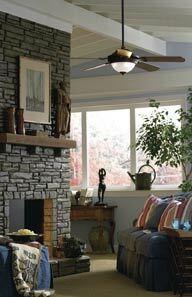 Install a ceiling fan in frequently occupied rooms. Ceiling fans use a fraction of the electricity of an AC unit. Therefore, the thermostat can be raised six degrees — say, to 78 degrees — and make a room feel as comfortable as if the ambient temperature were really 72 degrees. Lighting controls are an excellent option for saving energy. It is not necessary to invest in a comprehensive control system where the entire house is rewired. There are simple and less-expensive methods for controlling light to save energy, such as motion sensors, photocells that operate according to light levels, timers and dimmers. Thanks to breaking technology, lighting has become more efficient than ever before. Visit an ALA-member lighting showroom to receive professional tips on energy-saving. To find a local ALA-member showroom, go to www.americanlightingassoc.com. (NewsUSA) – Thanks to one resourceful company and an exemplary demonstration of green technology, one man’s trash can be another man’s fuel — literally. “We put plastic in one end, and liquid fuel comes out the other,” explains John Bordynuik, founder and chief of technology behind Plastic2Oil, a division of JBI, Inc. that turns unsorted, unwashed waste plastic into ultra-clean fuels that don’t need refinement. The Environmental Protection Agency reports that the U.S. generates 31 million tons of waste plastic every year, and 92 percent of that is dumped in landfills or incinerated — neither of which is eco-friendly. That, coupled with America’s continued dependence on foreign oil, makes Plastic2Oil (P2O) look downright magical. JBI started developing their unique P2O process in 2009. After a series of tests, analysts determined the procedure to be repeatable in 2010, and the primary plant was established in Niagara Falls, N.Y.
Now, an average of 86 percent of the plastic going into the processors is turned into fuel. 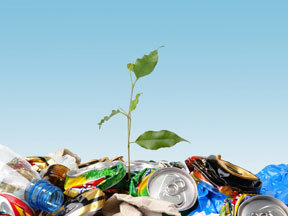 To date, JBI has converted over 2 million pounds of plastic into ultra-low-sulfur fuel, including No. 2 Diesel, No. 6 Fuel and Naphtha, which is used in petroleum engineering. None of these fuels needed to be refined further. Given the national push to be more environmentally aware, companies are taking truckloads of waste plastics to JBI. Thus, in one move, participating companies can save money on otherwise expensive waste disposal and reduce the mountains of plastic in landfills. Not to mention, companies that supply raw waste materials help produce a scope of refined fuel products. If your company is currently sending a significant amount of waste plastic to landfills, please contact JBI at wasteplastic@jbi.net. For more information, please visit www.plastic2oil.com. The recent addition reveals the grit and dedication of the toughest of the tough, West Virginia miners in the Westchester Cobalt Coal mine. Actually, “tough” might not be a strong enough word. The tagline for Spike’s new show is “danger runs deep,” and the pilot episode showed us just how deep. Some workers narrowly missed being crushed under a half-ton slab of slate, and another miner left in an ambulance. 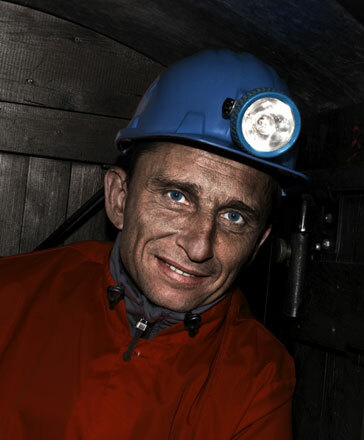 “It’s a tough business, and you’ve got to have tough men,” said Mike Crowder, chief executive of Cobalt Coal Corp.
Crowder and the Cobalt mining crews had no idea their mine would wind up being the ideal setting to “memorialize and make heroes out of blue-collar workers,” according to the show’s executive producer, Thom Beers. Although the mine only employs 40 people, Cobalt has an expansion project in the works that will give them access to new coal reserves. To help foot the bill and increase investor appeal in the publicly traded company, Cobalt chose to offer a revenue-based TIGRcub security via Entrex: a Capital Market System for Entrepreneurial Companies (www.entrex.net). Entrex CEO Stephen H. Watkins says, “Entrex was formed to support entrepreneurial companies who are looking for, and deserve, capital for their businesses. “We believe the TIGRcub offered by Cobalt supports its growth plans while providing competitive returns to investors,” he says. Learn more about “Coal” the series at www.cobaltcoalcorp.com. (NewsUSA) – While environmentalists celebrate the signing of a landmark energy bill that will increase fuel economy standards on all vehicles from 26.4 miles per gallon (mpg) to 35 mpg, you are probably thinking about how this will affect your wallet. The Corporate Average Fuel Economy (CAFE) regulation requires each car manufacturer to meet a standard for the sales-weighted fuel economy for the entire fleet of vehicles sold in the U.S. in each model year. The future CAFE standards will apply to the entire fleet of vehicles manufactured in the U.S. up to 10,000 pounds. They should be set, starting with Model Year 2011, until the standards achieve a combined average fuel economy of 35 mpg. Currently, cars and light trucks with two- and four-wheel-drives have individual standards. However, the newly signed bill allows for a standard increase that is applied to the entire U.S. fleet. The new law also requires an increased use of ethanol, a cleaner burning, yet less efficient fuel. With the use of ethanol, these newer vehicles might not see much improvement in gas mileage. Pulsed power, already in use by Pulstar pulse plugs for aftermarket spark plug replacements, is an enabling technology that can be used in combination with proprietary engine designs, now being developed by car manufacturers, to offset the reduced efficiency of ethanol fuel or to boost the efficiency of regular fuels. The stored energy discharged by the pulse plug was previously wasted as heat in the current plug ignition system. Once pulse plugs are installed in your car, they’ll allow the transition to bio-fuel to be smoother. While ethanol will presumably burn cleaner, it will not be as efficient as gasoline and will require you to fill up more often. Pulse plugs can offset that necessity, allowing each of us to drive our cars farther on a gallon of bio-fuel. If you have any questions about what you can do to help your car run more smoothly using pulse plugs, please visit www.pulstar.com. (NewsUSA) – Across the U.S., home solar installations are on the rise. 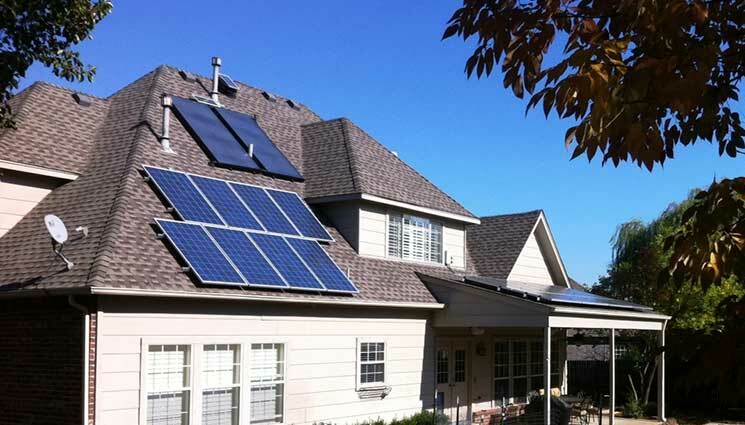 In 2012, homeowners installed enough residential solar panels to power the equivalent of almost 24,000 homes. 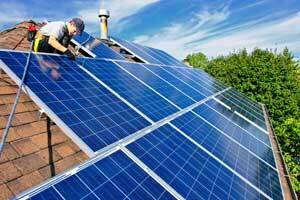 Despite its growing popularity, solar technology remains unfamiliar to many Americans. As renewable energy becomes a mainstay topic for the nation’s partisan political debates, consumers may struggle to separate the facts about solar energy from common misconceptions. In particular, SolarWorld, the longest-standing U.S. solar producer, has been manufacturing solar panels since 1975. “We’ve been in business for more than 35 years, and we’ve never had a product recall,” said Kevin Kilkelly, president of SolarWorld Americas. Myth 5: Solar is too expensive. Thanks to technological advances and attractive rebates, residential solar systems are more affordable than ever. In many parts of the U.S., homeowners can use financing programs to reduce upfront costs and spread payment over 20 or more years. 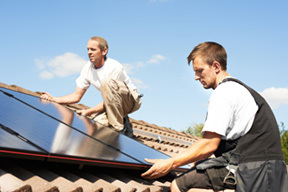 For details on solar installation and financing, visit: www.solarworld.com/solarmyths.